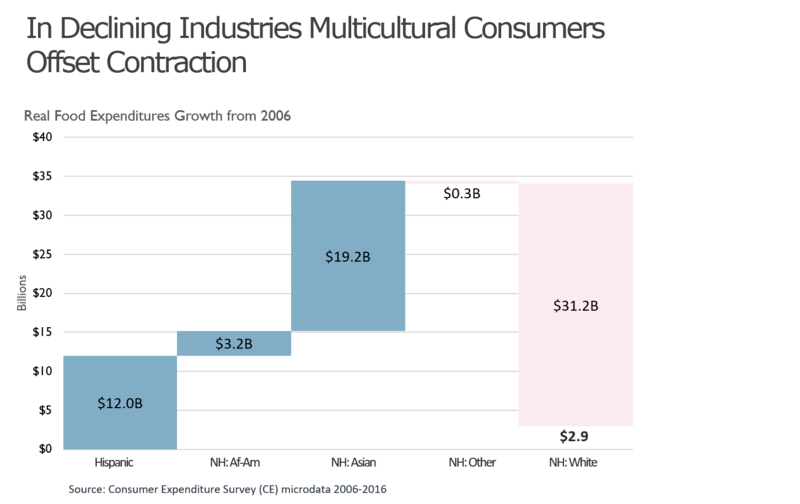 Based on analysis of the Census and Consumer Expenditures data, we provide context on how multicultural consumers, and their growth in household formation, have shaped the economy over the last decade. We also provide projections for the next ten years. The work this year includes color commentary on future demographic projections based on the current political climate. 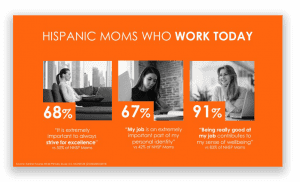 One of the hallmarks of the Big Shift is its focus on how multicultural consumers impact business. We examine multiple industries, and classify them as “declined,” “recovered,” or “improved,” based on their performance over the past decade (2006-2016). Healthcare, entertainment and personal care are the three most “improved” industries, which had higher average spend levels relative to 2006. Recovered performers include housing and transportation, which had household spend levels that returned roughly to 2006 levels. Declining performers include apparel, food, and education, which experienced significant decreases since 2006. A few key patterns emerge. 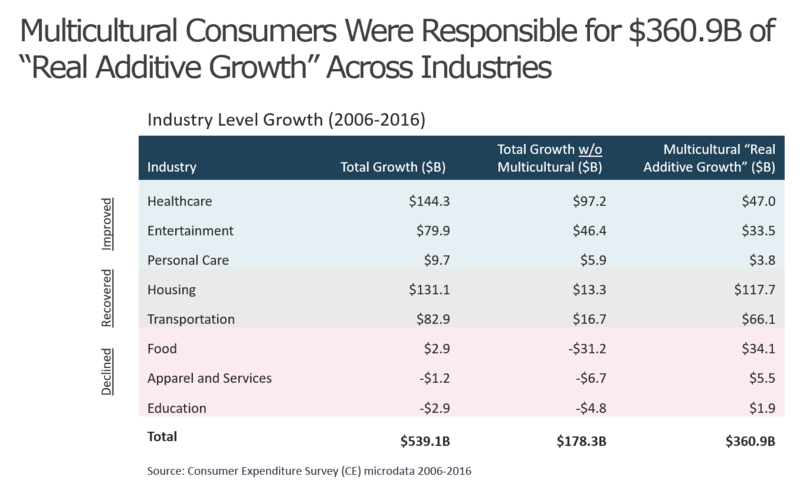 Non-Hispanic White consumers’ drove positive growth in improved industries, while multicultural consumers were the driving force for recovered and declined industries. 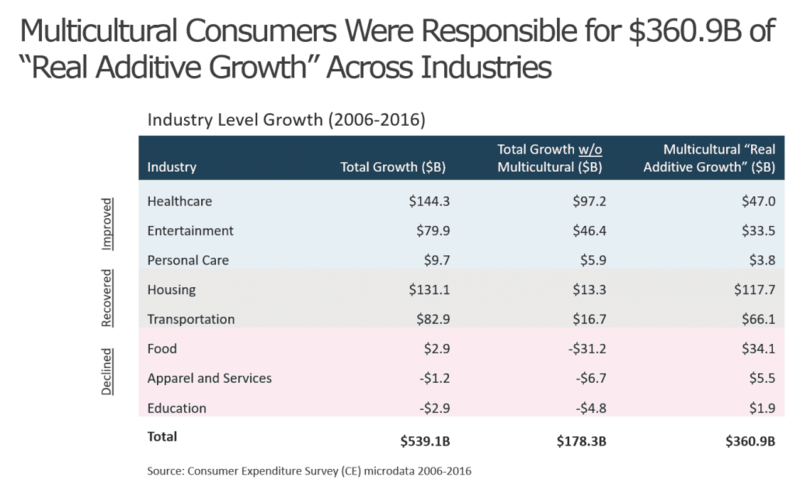 Across the board, multicultural consumers drive growth in every industry. We can see this illustrated through two industries on different sides of the expenditure growth spectrum. 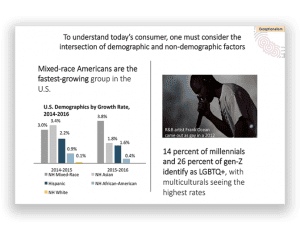 The declining food industry witnessed a significant expenditure contraction by non-Hispanic White consumers. But Multicultural consumers offset this contraction, and their expenditures tempered the performance of this industry. 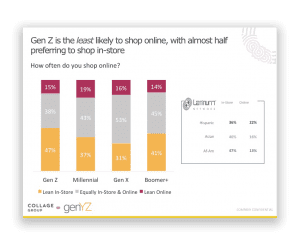 Entertainment by contrast was a star performer, driven by a $38 million increase in expenditure by non-Hispanic White consumers. 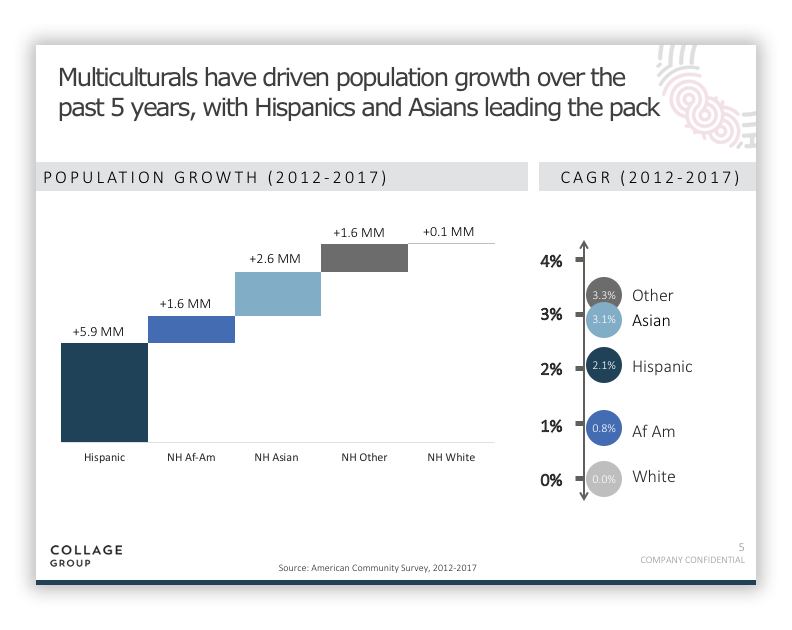 Even so, multicultural consumers drove the same amount of growth, largely due to household formation. 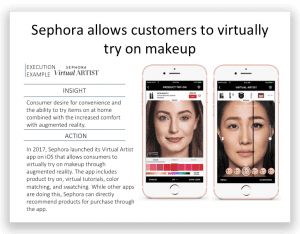 What Lies Ahead for your Brand? Each industry had interesting spend changes over the past decade. 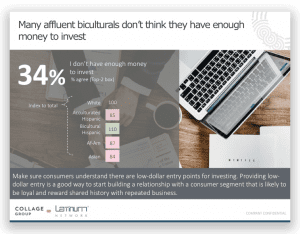 Curious at what drives expenditure growth among particular segments or categories? 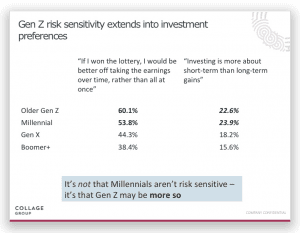 Have you seen significant decline in some demographic segments, while your competitors have secured their fair share? 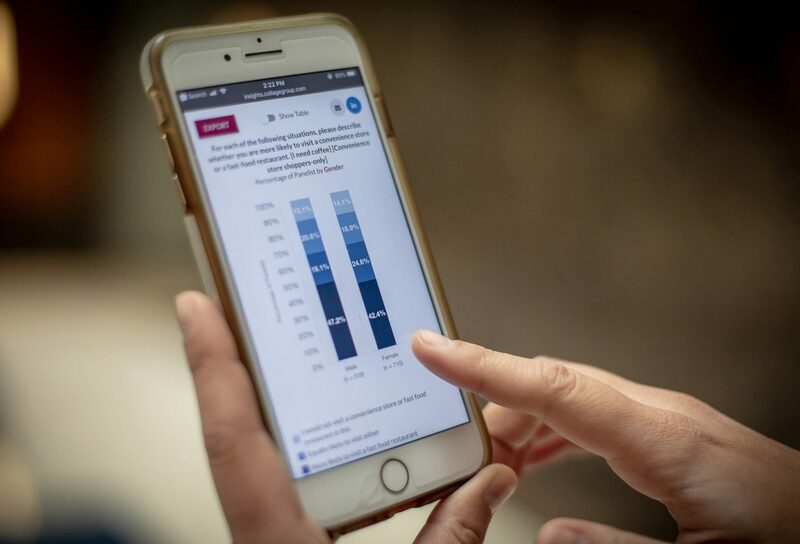 Collage custom research can help you understand what might lie behind spend changes, and provide attitudinal insights to help you project what lies ahead.